I’ve been in St Petersburg for two weeks and today did the first part of the First Certificate in the (official, state) Test of Russian as a Foreign Language. 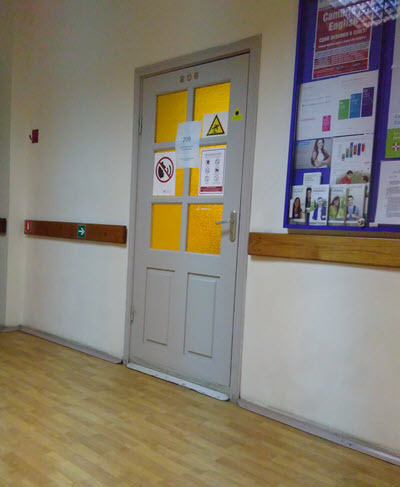 (Information about the level and equivalents here courtesy of Pushkin House) I arrived well before the set time of 10 am at St Petersburg University, and sat waiting along with many young Chinese students for the door to open and the exam to start. Same room as last year, same procedures. First up: Writing, one hour. There is a long passage on a modern day topic which we must summarise and give our own opinions on, and there is a more informal letter or email on a personal topic which we must then write. I had worried a lot about the first question because the topics in the sample papers are quite complex: I had revised Ecology, the Role of Women in 21st century, Technology in Modern day life, Changing family life… and when the papers were handed out and I looked anxiously at the first question, I laughed out loud. (Well laughed out quietly) “How best to start speaking a foreign language” I was fazed for a moment, not because I didn’t know what to write but because I didn’t know what to leave out!! The second question was an email about what you’ve up to in the past year – work, studies, family, holidays and plans for the future. I tried to put some good phrases in – remembering my years of telling my own language students the same, so we’ll see. Second: Grammar, another hour.This consisted of 165 multiple choice questions where you have to get the correct word, be it a verb ending, case ending or appropriate adjective. This was very intense because even if you know the answers and are confident, 165 is a lot to read and reply to. There were some I guessed because I hadn’t learned the topics well enough (verbs of motion – flying – carrying by hand – carrying by car – tut tut) and some I guessed because I genuinely hadn’t seen the words before. Although we can use a dictionary in the Writing exam it is not allowed in the Grammar exam – and there is no time, anyway. The pass mark is 66%, which is 109 out of 165. That means I could get up to 57 wrong and still pass. Hopefully I have got fewer wrong than that. Third: Reading. This was fifty minutes and consisted of three passages, one on the Summer gardens in St Petersburg, one on some Russian academic whose name I forgot immediately after the test and the final one on the home town of Grandfather Frost. There were only twenty questions to compensate for the length of the passages but I am slightly concerned about this one because I found the questions quite straightforward (always a worrying sign) and kept looking for tricks to catch me out. Also, I completely forgot we were allowed to use a dictionary, as I just don’t have the habit of it from my previous student days. By the time I remembered, the exam was almost over. Well, if I was caught out, then I deserve it. I will find out on Friday. And tomorrow: Listening and Speaking!